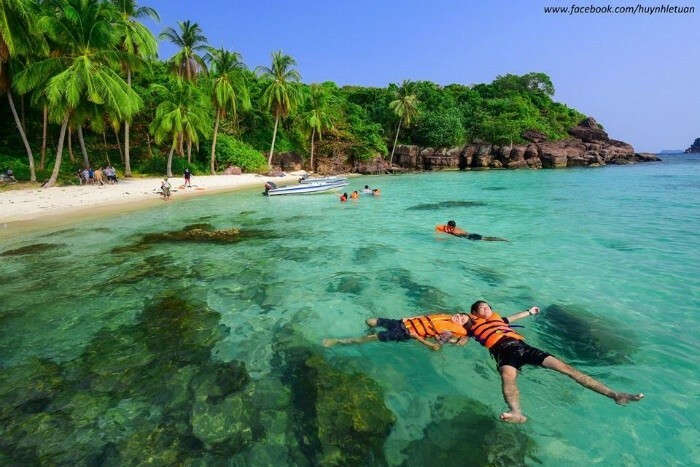 Together with Diep Son Island, Mong Tay Island is one of the wonderful “sea paradises” that the sea-lovers community get crazy about it recently. If you have a chance to visit Mong Tay Island, your mind will be blown and you will be ecstatic with the pristine beauty of turquoise sea and white sand. You will just keep admiring with amazement that you might forget the time and feel like you are on the best-known paradise island – Maldives. Thus, Mong Tay Island is a perfect choice for your summer vacation. 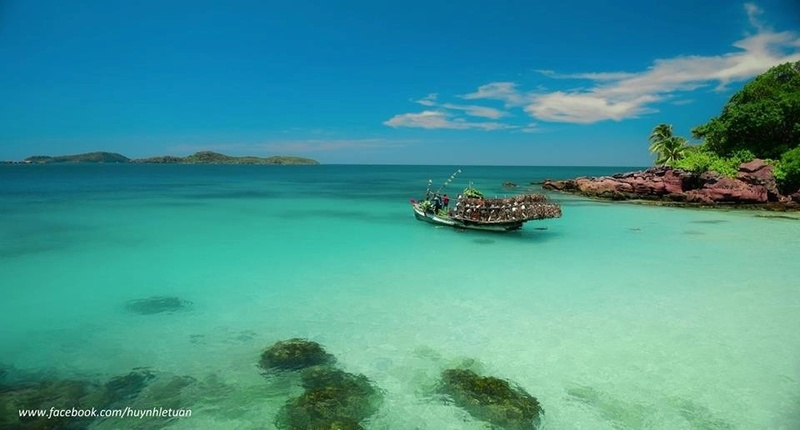 Mong Tay island is an isolated island lied in the middle of the vast sea in Kien Giang Province. This Island is also known with a nickname as Vietnamese Robinson deserted island, a “worthy” competitor of other renowned sea paradises such as Maldives, Koh Rong Samloem. 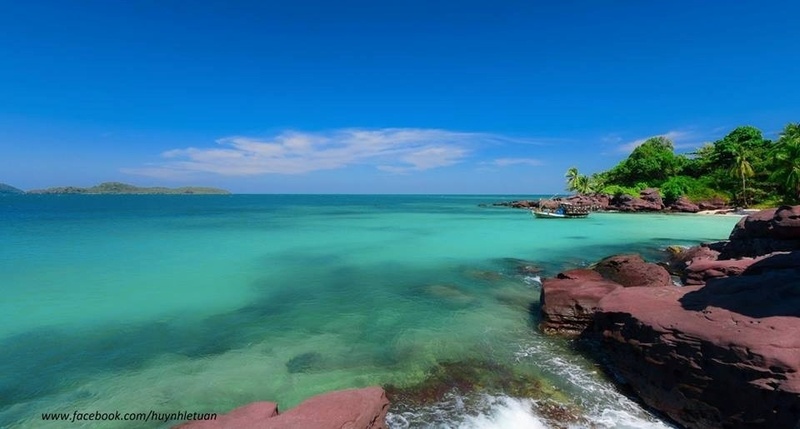 From a very first step on Mong Tay Island, you will be overwhelmed with the bewitching scenery of the whole sea paradise in front of you. 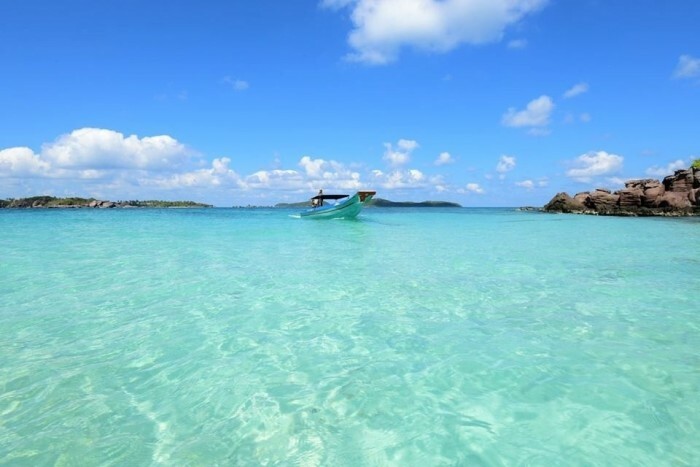 You will be witnessed the crystal clear and bluish-green seawater like an emerald with the white fine and smooth sands stretching out along the shore. 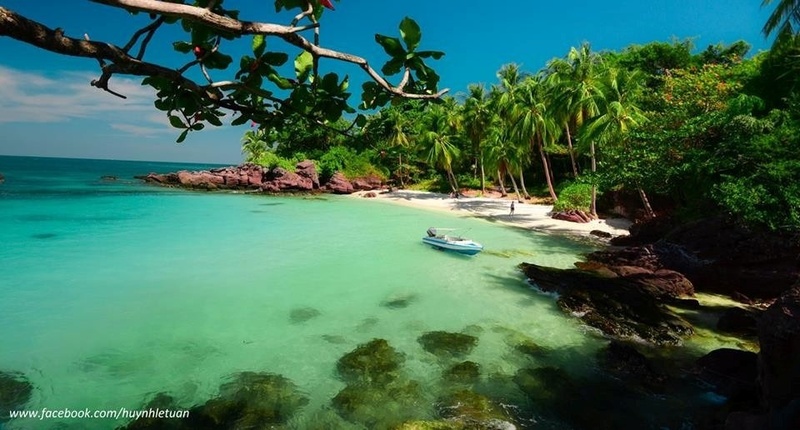 Right there, you can also see leaning and swaying coconut trees, some distinctive rocks with exotic shapes, colorful coral reefs, and fishes swimming around. All of that harmonize together and create a brilliant natural painting that no fancy words can describe enough that beauty. What is cooler than setting free your energies, leisurely playing and immersing your bodies in the cool seawater in the hot and sweltering weather of the upcoming summer? 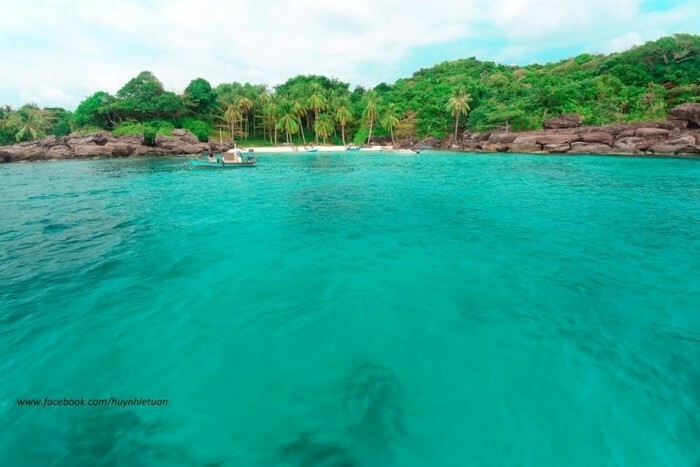 Visiting Mong Tay Island, you can run to the beach anytime you want, splash around, dive through waves and swim in the “arm” of the sea. And that is the way how to relieve chaos and worries in daily life and forget all stresses that you still have before coming to Mong Tay. You can pretend to become Robinson to go around for an adventure in the “deserted island”, experience and explore many interesting things. After hours swimming and wandering until you get really tired, you can lie down onto the fine sand, below the shades of the lush and swaying coconut trees, admire the entire view out there and slowly fall asleep. 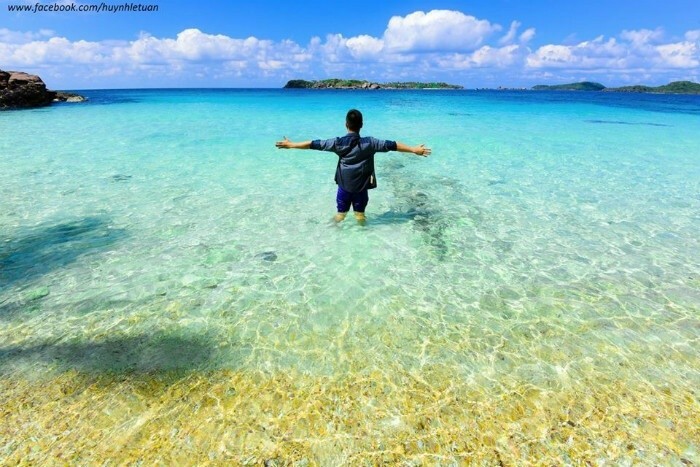 If you have a chance to enjoy the whole day on Mong Tay Island, watch the glorious dawn, sparkling twilight or magical night, you will experience and be stirred up with different shades of emotions, from being amazed to ecstatic. These are also miraculous and fantasy moments of the nature that you should capture in your artistic photographs. 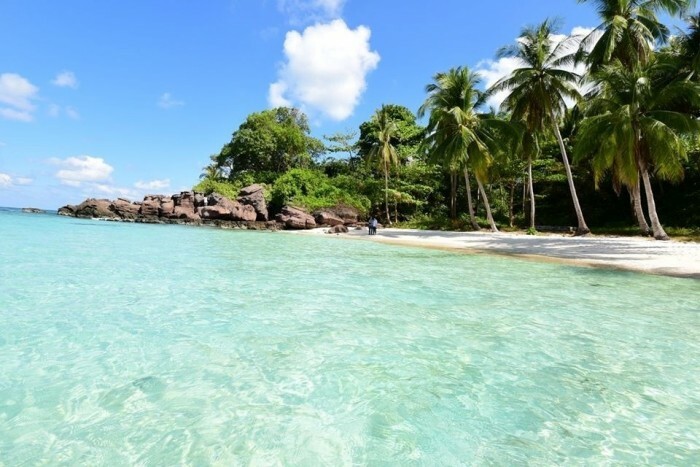 Welcoming a new day with the warm sun, walking along the beach in the late afternoon or watching twinkling stars are all fascinating experiences on the beach of Mong Tay Island. Coming to Mong Tay Island is like finding a sky of peace. There, you can breath the fresh air, feel the salty flavor of the sea, listen to the gushing waves. 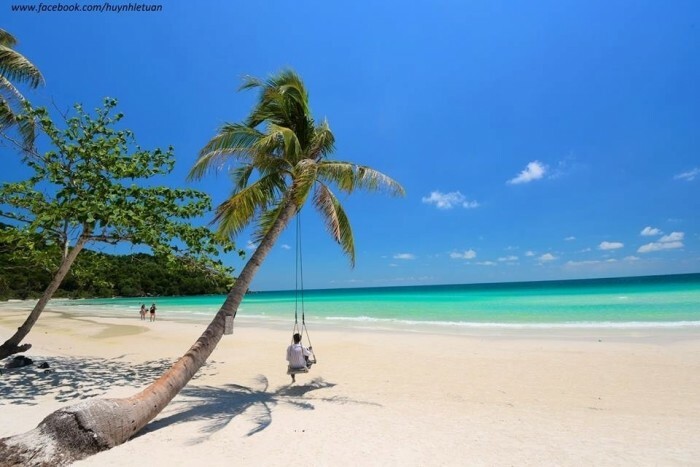 On this alluring island, you will wish to embrace the entire beauty of the turquoise sea, white fine sand and brilliant sun. You will wish that the time could stop and you can get closer and be more familiar to the nature. 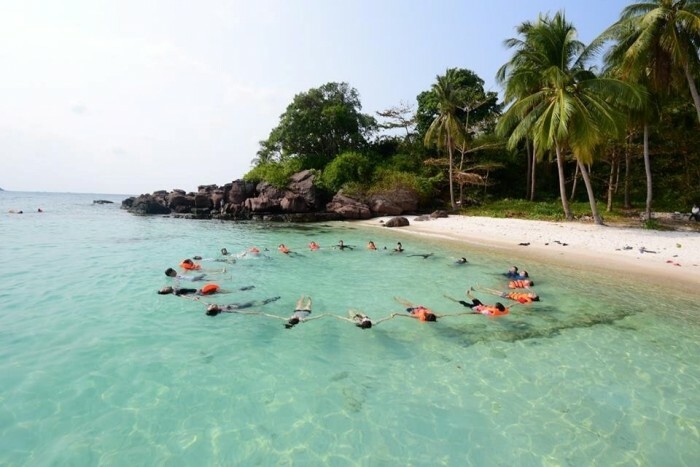 Mong Tay Island always captivates tourists from far away, fills your heart with boundless love for the sea, the pristine nature of this deserted island. Apparently, anyone who has ever visited this island for once all falls for it, keeps an intense love for it. You don’t even want to leave and feel pity when you have to go on a canoe or a boat to go back. 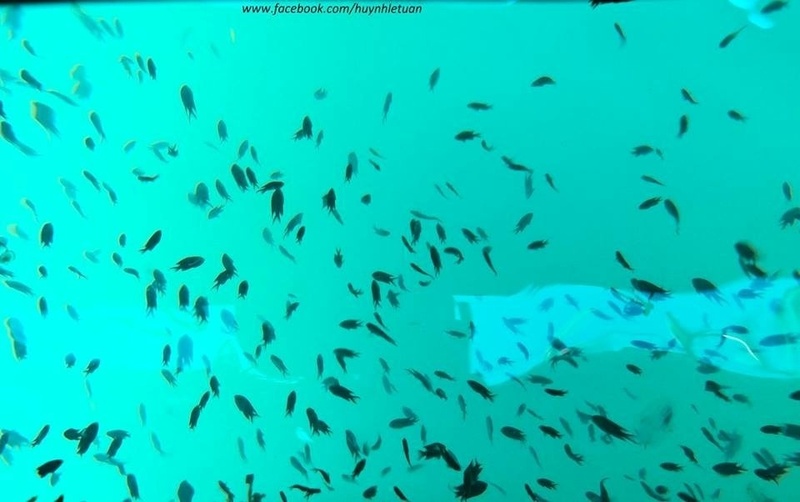 Mong Tay Island used to hide itself carefully in the middle of the vast sea. But now it has transformed into a shining “pearl” and beckons tourists from everywhere. In the near future, this is going to be one of the islands that is favored by most of young people. More and more young wanderlusts will find this place, explore and enjoy the wonders of the nature. Moreover, during your upcoming trips, do not forget to protect and maintain this untouched wonder. Let’s keep the Mong Tay Island always being brilliant like that through times.